"There are many unsolved mysteries connected to Hollywood... not the least of which are its ghosts." The ghostly tales of haunted Hollywood has attracted the curiosity of individuals all around the world for several decades. 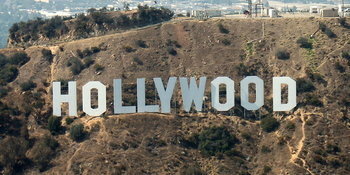 Hollywood is perhaps the most popular neighborhood in the City of Los Angeles. While it is mainly known as the core of the film and music industry because of the various movie studios and famous stars that linger there, it is also become increasingly popular for the wide array of spirits that haunt the area according to locals and individuals that visit the region. While often dubbed “The City of Angels”, it is apparent that this popular area also hosts a large number of demons and other types of spiritual entities. Throughout this section of Greatest Unsolved Mysteries, you will learn about the ghostly stories surrounding the ghostly tales of Hollywood. Throughout the Hollywood neighborhood, it is not at all uncommon to hear stories of legendary stars roaming the various structures, studios, and streets in spiritual form – seemingly connected to the glamorous lives that they once lived. In addition to the legendary stars that we have come to know throughout the history of Hollywood, there are also stories of ghosts of some not so famous stars, producers, and other individuals that had a link to Hollywood in their lives. Throughout this section, you will learn about several spiritual manifestations of famous movie stars such as Marilyn Monroe and Montgomery Clift. You will learn about the whispers, screams, and even the singing associated with unknown entities. You will learn that in haunted Hollywood, the spotlight never dims and the curtains never close. Many hopes and dreams surround this region of Los Angeles. While many individuals have been able to succeed in the entertainment industry, there are many that were not able to achieve the success and fame that they desired in life. Many stories that surround Hollywood ghosts involve souls that seem to be linked to their failures in life. There are many stories that surround those that did achieve the success and fame that they desired in the entertainment industry. However, it seems that they enjoyed their tenure in Hollywood so much when they were alive that they simply could not let go when they died. If you are interested in the mysteries that surround the dead, you will thoroughly enjoy our coverage of hauntings in Hollywood. Here, you will learn about the ghosts that are believed to haunt this Hollywood hotel.